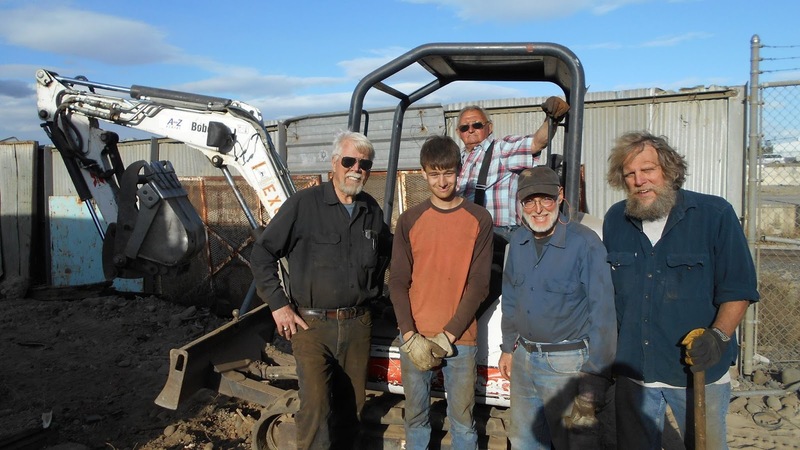 On the weekend of October 7 and 8, a crew of the Chehalis Centralia Railroad made their way to Moses Lake to to a bit of rehab of the spur to Moses Lake Iron and Metal, where Monte Holm's old business car, the "Ruth M," had lived for the last 40 or so years. 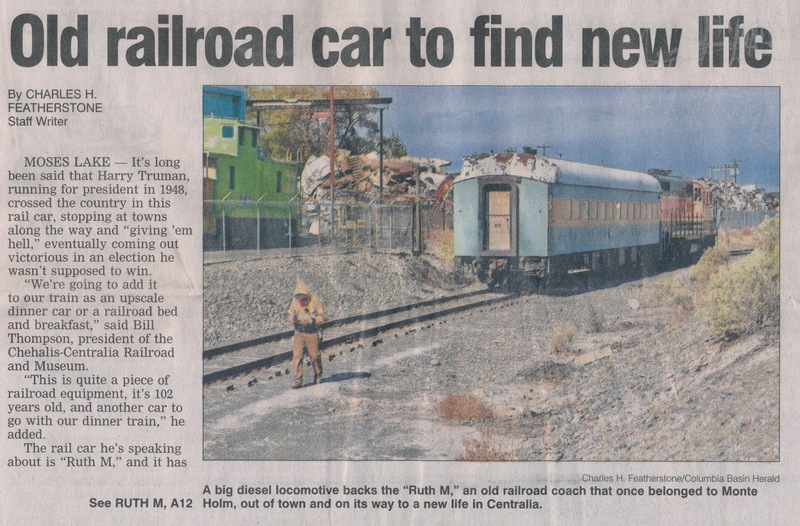 This work would allow the Columbia Basin Railway to retrieve the car in a few days. I alerted the newspaper that the move was happening, but I'll leave my very similar photos out of the first part of this piece. I did video it leaving town, at the link below. As it left the Moses Lake area, I was out at Wheeler and caught it as the last car of a CBRW train headed towards Warden. 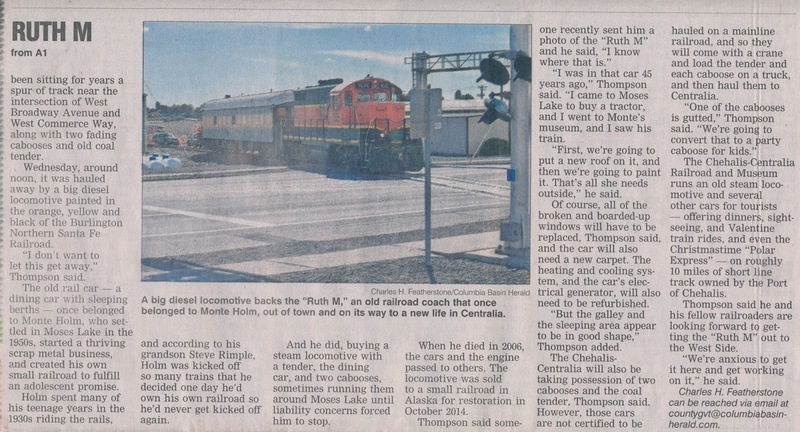 Ultimately the car would be handed off to BNSF at Connell for forwarding to Chehalis. 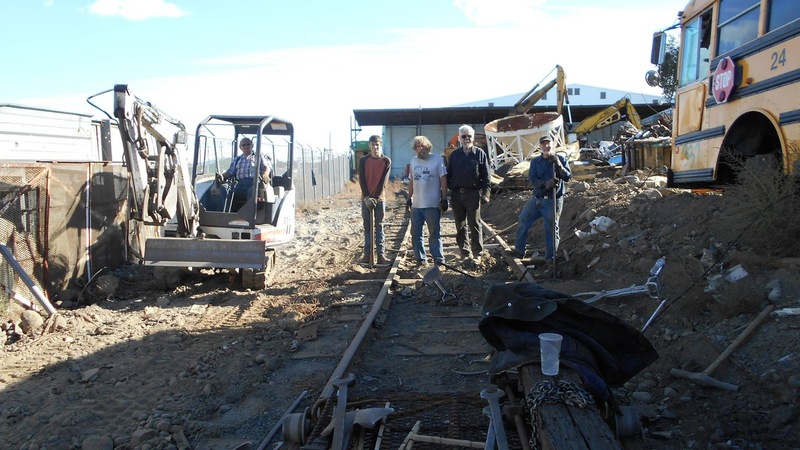 See the train at Wheeler here. 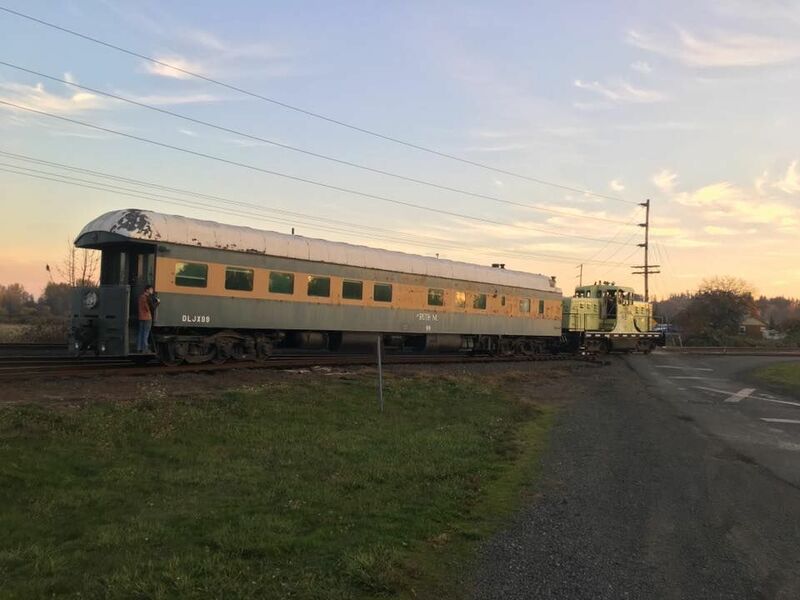 Alden Wolf caught the car in Chehalis on November 20, 2017, being moved into the car barn for restoration.